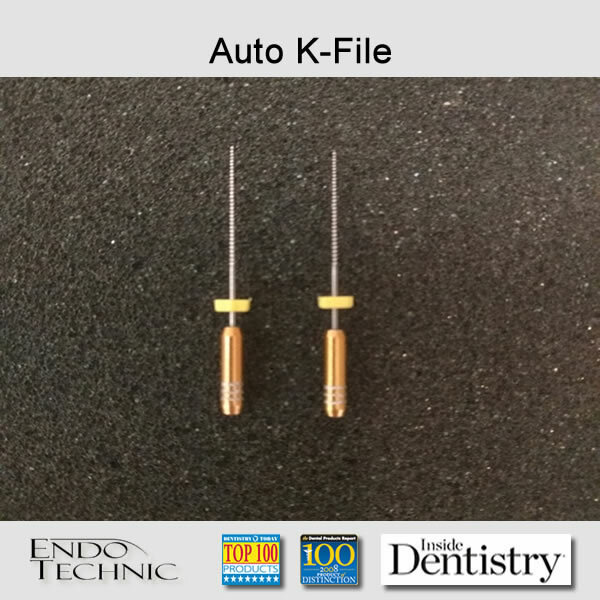 The Auto K-File can be used like the Master File™. Doctors like to use it to open ultra-thin calcified canals because of its stiffer K-File properties. A traditional K-File by design with a stiffer feel than the Master File™. Our patented tip is a NON-CUTTING bullet shape. It prevents apical transportation, ledges and perforations."